I just wanted to send you a quick note of thanks for an amazing trip. My husband, kids and I had the experience of a lifetime. The trip was perfectly executed and it was so relaxing to have everything handled for us. Driss (our driver) did an excellent job of showing us Morocco and making us feel safe and comfortable. We loved our desert experience. We rode quads in Erfoud and the La Belle Etoile was an experience we will never forget. 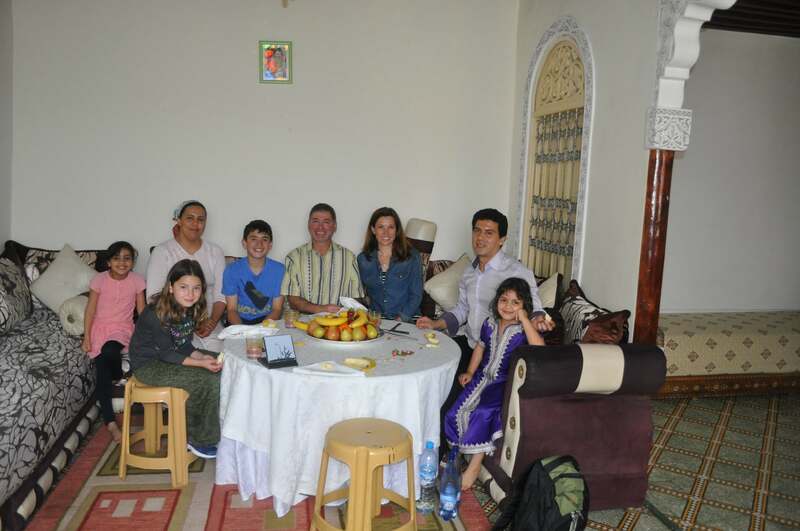 I should also mention lunch with the family in Fes because it was certainly a highlight for our family. We arrived at their home in the Medina and they served us a feast fit for a king. We were both a little nervous at the beginning but in a very short amount of time we realized how much we had in common and it turned out to be a truly memorable experience for all of us. They were a lovely young couple with two girls and they were such amazing hosts. Our guides in Fes (Hamid) & Marrakech (Yusef) were very engaging and very flexible with the kids. The Riads were so beautiful – we loved them both but really appreciated how different each of the accommodations were. The pool at La Maison Arab was a perfect way to end the trip. I have already given your information to several friends and a few people that we met along the way. We will highly recommend your company to everyone!! I would love to know if you are aware of any other small travel companies similar to yours or if you ever add additional countries to your planning. We would be repeat customers for sure. My son has already asked to return to Morocco next year!! Please use us as a reference if you have any other families with kids wanting to visit Morocco. I’ve included a few photos of our lunch with the family in Fes.